Pritvanti graduated from the University of Manchester in 2008, afterwhich she completed her vocational training in Chester before joining our Rochford practice in 2009. She is currently studying towards the MJDF Diploma at The Royal College of Surgeons of England. Her special interests lie within restorative dentistry. Her hobbies include skiing and reading. Lucy graduated from University College Cork in 2013 after which she completed a year of vocational training in Chelmsford as part of the Essex Coast Scheme. Lucy has completed part 1 of the MJDF diploma at the Royal College of Surgeons and is hoping to take part 2 in early 2015. Lucy's hobbies include cooking, travel and following sport. Sanjutha is currently in her second year of her master's programme in Fixed & Removable Prosthodontics. 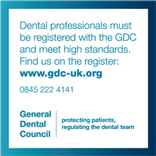 Vicki has worked in dentistry since 2005 where she started her career as a dental nurse. She qualified from Essex University in 2012 with a foundation degree in oral health sciences. She has completed post graduate qualifications including implant maintenance and tooth whitening. Dawn is our longest serving member of staff, having worked for the practice since 1986. She achieved her National Certificate in Dental Nursing in 1991. She followed this by obtaining her Certificate in Oral Health Education in 1992. After a brief break to raise her 2 daughters, she returned in a more administrative role and completed her BTEC Professional Diploma in Dental Practice Management where Dawn now leads our strong team as our practice manager. In her spare time she likes reading and keeping fit with regular gym and aerobic classes.